Lion Sands Private Game Reserve is located in the finest territory of the world famous Sabi Sand Game Reserve, Mpumalanga, South Africa. Forming part of the greater Kruger National Park, the reserve has no fences and the wildlife is able to traverse freely between Lion Sands and the Kruger National Park. The Lion Sands reserve, which has been owned and managed by the More Family for four generations, is a place of rarity and carries with it a passion which can only be instilled by a great family history. The families passion to deliver a world class luxury safari experience is equaled by their complete commitment in ensuring a pure balance between the preservation of this pristine “bushveld” (wilderness area), allowing access for guests to observe some of Africa’s greatest mammals in their natural habitat and ensuring the benefits are shared with local communities. Lion Sands is the only reserve in the Sabi Sand which employs a full time ecologist, who is responsible for ensuring the preservation of the land for another four generations to come. The Lion Sands Game Reserve is private and exclusive to Lion Sands guests only, which ensures the safari experience is highly personalised, allowing guests the time and flexibility to savour the natural beauty which abounds. Come to Lion Sands, spend a little time with us, man and animal, and you will experience a feeling of belonging and at the same time a sense of freedom that comes from those who believe in sharing instead of possessing. The international award winning Lion Sands Ivory Lodge is ultra luxurious, yet simple and uncluttered. The lodge is about overriding exclusivity with complete privacy, where each suite is operated as a private villa. Neither word nor photograph can capture the sense of the pure beauty which is breathed in when opening the carved wooden doors leading into this private recluse – arguably the world’s finest suite. River Lodge is the soul of Lion Sands and has been built on the banks of the Sabie River, positioned on a site with trees dating back 800 years. Facing due east, the lodge catches the sun as it rises over the Kruger National Park. Hosted by a family of staff that make it feel like home away from home, the lodge is about spirit, warmth and nature. 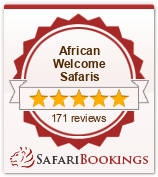 Here you are invited to relax and experience African hospitality at its finest. Special offer is subject to availability of rooms. More Hotels reserves the right to offer a luxury apartment at More Quarters OR a standard room at More Cape Cadogan. Only valid for a maximum of 2 rooms. When it comes to spending your holidays in Cape Town, you have two options as far as luxury hotel accomodation is concerned. You could face the seasonal hussle and bustle in one of the more corporate establishments. Or you could merely relax and enjoy every moment in the comfortable and luxurious atmosphere of a boutique hotel. By definition, a boutique hotel is a smaller more personal establishment; one that caters for guests’ special needs, yet is fully supplied with modern day, 5-star luxury amenities. And Cape Cadogan fulfills the description of a boutique hotel like no other in Cape Town – or South Africa for that matter. With a rare combination of historic exteriors and classic modern bohemian interiors, Cape Cadogan is themed on the famous author Oscar Wild, who was renowned for his bohemian lifestyle. His characteristics of creativity, wit and flamboyance are celebrated through the every aspect of the Cape Cadogan’s boutique hotel design and atmosphere. The Cape Cadogan apartments are situated just a few minutes walk from the hotel reception. Conveniently located just off fashionable Kloof Street, some of Cape Towns’ finest restaurants are a leisurely stroll away. Enjoy the buzz and breakfast at an array of street side cafes. Be pampered by our committed staff, who will establish any special requirements when you make your reservation. Have a look at other Safari Lodge options in the Kruger National Park. Do you need some Safari inspiration ? – have a look at some of our recommended itineraries to the Kruger National Park. Let our Safari experts create your South African Holiday and Safari – contact us for expert advise ! Terms and conditions apply. Contact reservations now!